Motorcycles are now very common on the streets and so are motorcycle wrecks in Atlanta. A motorcycle can disappear from the eyes of other motorist. If you or someone you know has been injured in a motorcycle accident, your first step should be to contact an Atlanta motorcycle accident law firm. It is too difficult and causes much stress to handle a claim yourself. Most people do not know what to say or what to do in these types of situations. An injury lawyer has complete knowledge of what to do for your motorcycle injury claim. A good personal injury lawyer will thoroughly document your case and counsel through the process. 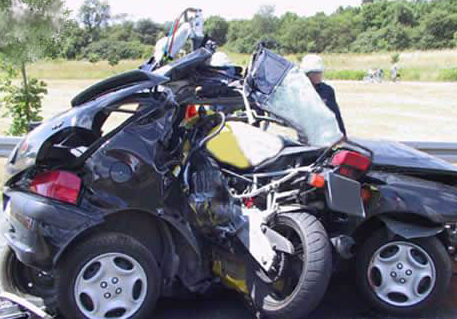 Most if not all motorcycle accidents cause serious injuries for the driver of the motorcycle. These injuries must be documented and photographed to use as evidence. An Atlanta motorcycle accident law firm can help simplify this process during a tough time. 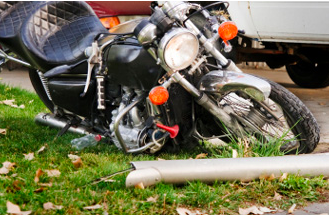 Insurance companies can be a burden after a motorcycle accident. The job of an insurance company is to pay as little as possible to settle any motorcycle accident claim. Our motorcycle accident lawyers fully understand the claims process, which they learned first-hand by working for nearly a decade with insurance companies. We like to put our knowledge to work to benefit you. Without a motorcycle accident lawyer to help you settle your claim, you will most likely being paying for your medical expenses, lost wages, property damages, and the change in lifestyle caused by the wreck. The costs of these expenses are much higher than the cost of hiring a motorcycle accident lawyer. No one deserves to suffer and pay for someone else’s mistake on the road. An experienced Atlanta motorcycle accident lawyer will make sure you obtain compensation for any damages you have incurred. Spouses of motorcycle accident victims can also file a claim for damages called loss of consortium. Most law firms deal with a variety of cases, however, a motorcycle accident law firm has experience with motorcycle cases in particular. If you or a loved one has been in a motorcycle accident contact Link & Smith, P.C. with any claims or questions you have. Our attorneys have the experience and knowledge you need when dealing with a motorcycle accident. Our number one goal is to protect our clients from the complicated legal issues the insurance throws at them. Call us today at 404-315-8840 for a free consultation with one of our lawyers, or contact us here for your free consultation.